Where am I? > Home > Travel Insurance Quotes > Medical Travel Insurance > Is air pollution linked to breast cancer? Is air pollution linked to breast cancer? Women who live in built-up areas could face a higher risk of developing breast cancer, according to a new report. Scientists wrote in the journal Breast Cancer Research that there was a potential link between air pollution and a risk factor for breast cancer - breast density. But experts at Breast Cancer Now said the risk remained "unclear". Breast cancer survivors can arrange specialist medical travel insurance. Past research showed that women who have high breast density are at a significantly higher risk of developing breast cancer - and now latest research highlights a link between breast density and air pollution. Women living in areas with a high level of fine particles from air pollution may have an increased chance of developing high density in their breasts. The study included some 280,000 women in the US, with an average age of 57, who had previously had a mammogram recorded by the Breast Cancer Surveillance Consortium. Around half had lived in built-up areas and the rest in rural areas. Dr Lusine Yaghjyan, lead author from the University of Florida, said: "Our findings suggest that previously reported geographic variation in breast density could, in part, be explained by different air pollution patterns in urban and rural areas. 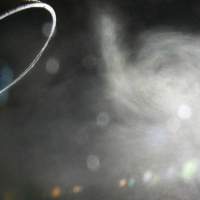 Baroness Delyth Morgan, chief executive at the charity Breast Cancer Now, said: "This is a thought-provoking finding, however the direct association between air pollutants and breast cancer risk remains unclear."